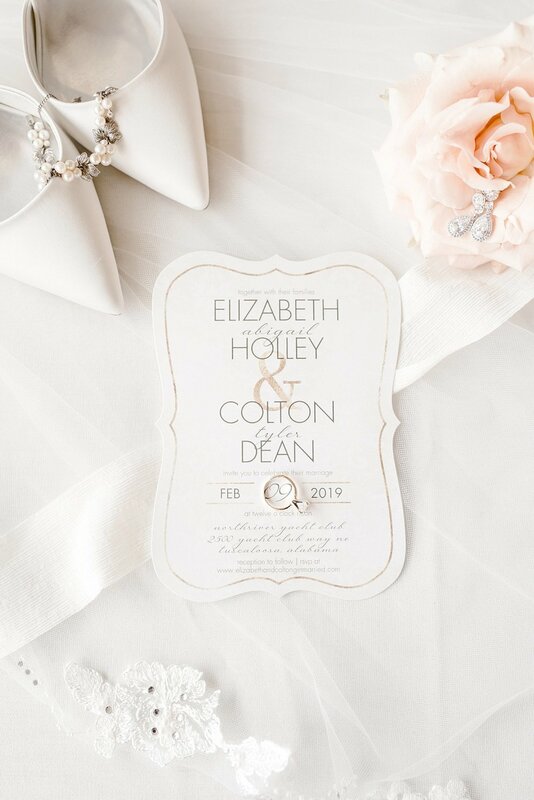 Elizabeth and Colton’s wedding took place at the picturesque Northriver Yacht Club in Tuscaloosa, Alabama on a beautiful, bright February day. After their wedding, I kept thinking about how much I love brunch weddings! They are fantastic! Pretty light, delicious brunch food (waffle stations and biscuits and gravy, do I need to say more?! ), and mimosas! 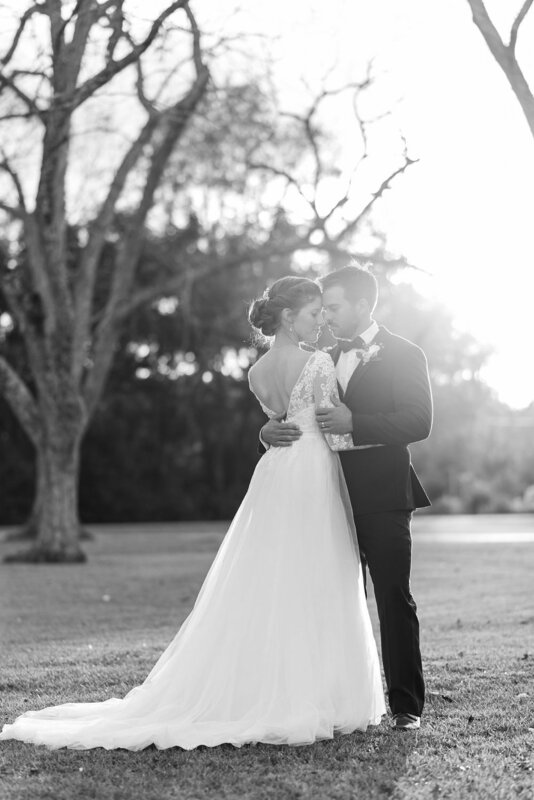 Their wedding day was so sweet, full of emotion, and simply beautiful! From the florals, to her shoes, I loved the entire esthetic! Elizabeth and Colton have such a sweet connection. You can feel just pure love and happiness between them! From their first look, to privately reading their promises/vows before the ceremony, it was refreshing to watch them together! Here’s a few images of their day! Hailey & Clay have been an incredible couple to get to know and work with! I knew their wedding day would be special to capture because of how strong their connection was from working with them during their engagement session. I joked that they look like a Disney couple! The ceremony took place at St. Bartholomew's Catholic Church in Elberta, AL and the reception was at PZK Hall in Robertsdale. We chose to do portraits nearby after their first look! Hailey surprised Clay with a Brackish feather bowtie that went perfectly with his suit. It was overcast for their first look and portraits but right after the ceremony, the sun peeked out for a few minutes for their post-ceremony portraits. There’s nothing like the giddy, newlywed vibes after the nerves have dissipated! The reception was beautifully lit with twinkle lights and to end the night, they had one of the cutest sparkler exits! On the way to Maritza & Grant’s wedding, I kept glancing at the sky and wondering how the day would unfold. It was windy, rainy, and overcast and the forecast didn’t show much change. Luckily for me, Maritza’s home had large windows and natural light which made her getting ready images beautiful despite the conditions. 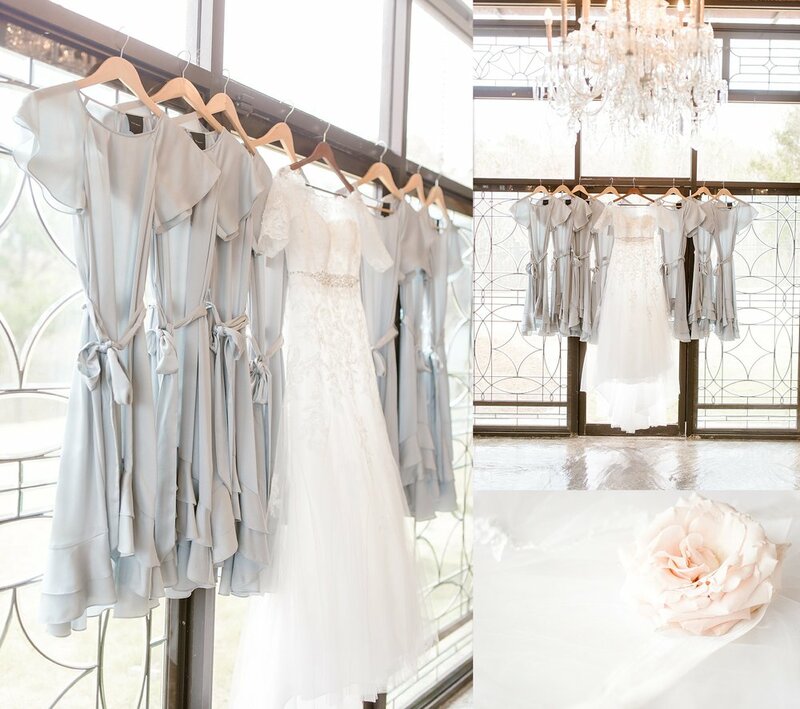 I highly recommend that brides have a getting ready space full of natural light for this reason! The ceremony took place at St. Margaret’s of Scotland in Foley and it was amazing! Grant’s reaction to seeing Maritza was one of the sweetest moments of the day! After the ceremony, we had limited time to do the portraits and it began to POUR in the middle of the couple portraits. They were literally showered in good luck as we all sprinted to cover. 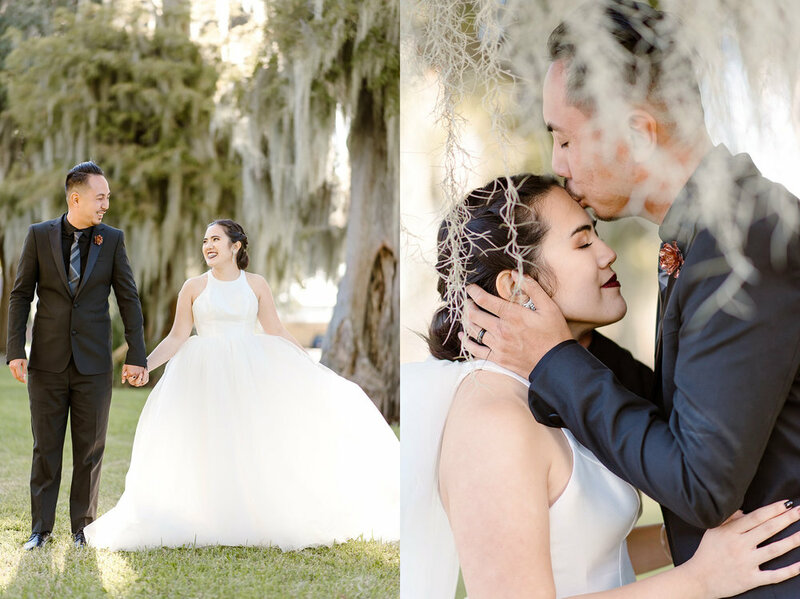 I let Maritza know that we could always get back into her gown on a pretty day after the wedding for more couple portraits and we did that this week! You’ll notice the different location and lighting but I’m so glad she got the couple portraits she deserved at Bragg Mitchell Mansion! 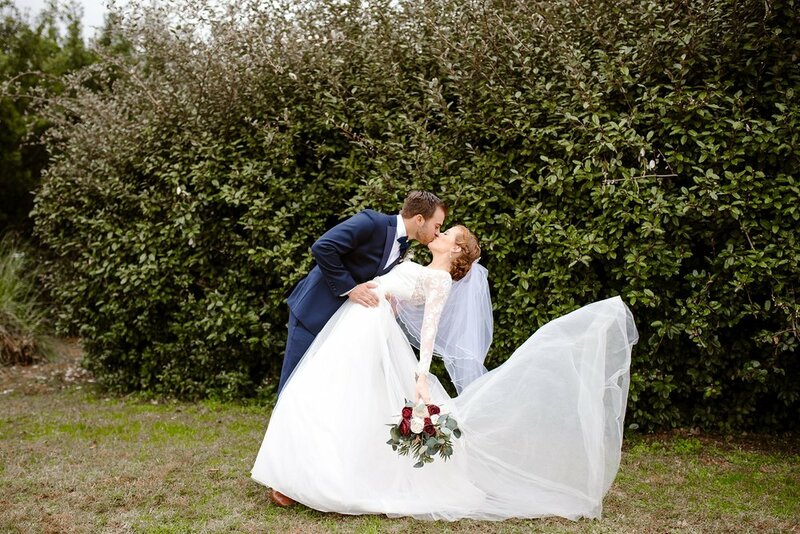 Here’s a few highlights of this gorgeous wedding day! Gosh, how can I sum up this awesome couple and family in a short blog post?! I met Veeh through her sister Cecile whose wedding I shot six months prior. Both of these brides have fantastic, modern style that was refreshing and exciting to capture! Veeh and Tien’s wedding day began with fizzy drinks and warm sunshine on a gorgeous October day. 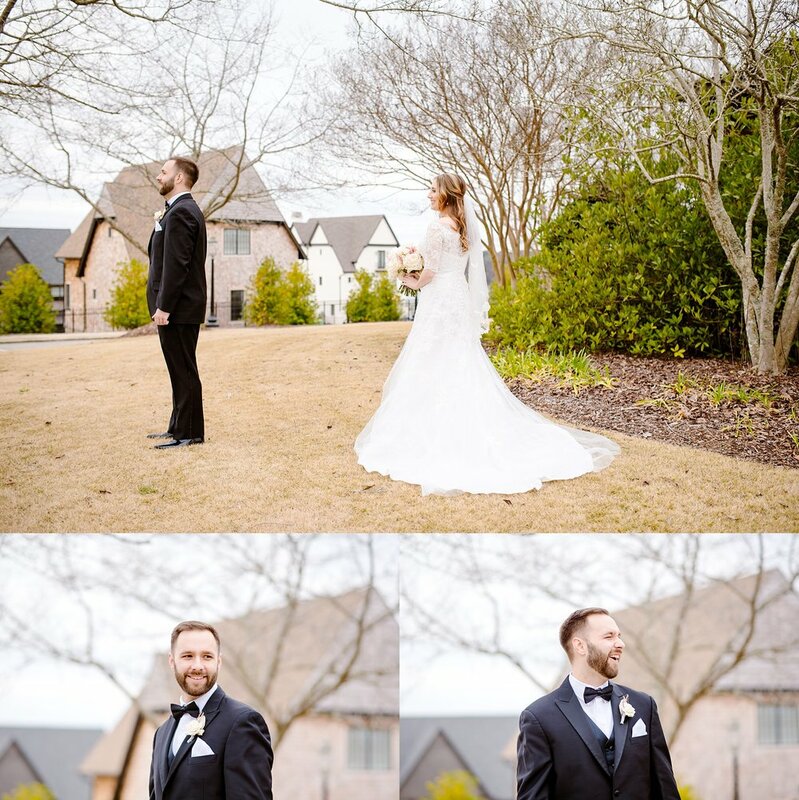 They had mass, followed by portraits under the mossy oak trees, and danced the night away at the La Maison Du Lac yacht club. Here’s a few favorites from their day!